Poetry Friday is here! Welcome to all! I have a special giveaway today, a new book for bedtime by Rosemary Wells and a signed print from it! I assume most of you know Rosemary Wells, author of so many sweet books, ones my children grew up with, and now my grandchildren love them, too. We especially love the adventures with Max and Ruby during the holidays. I love this book so much that I wish I could photograph each page to share with you. 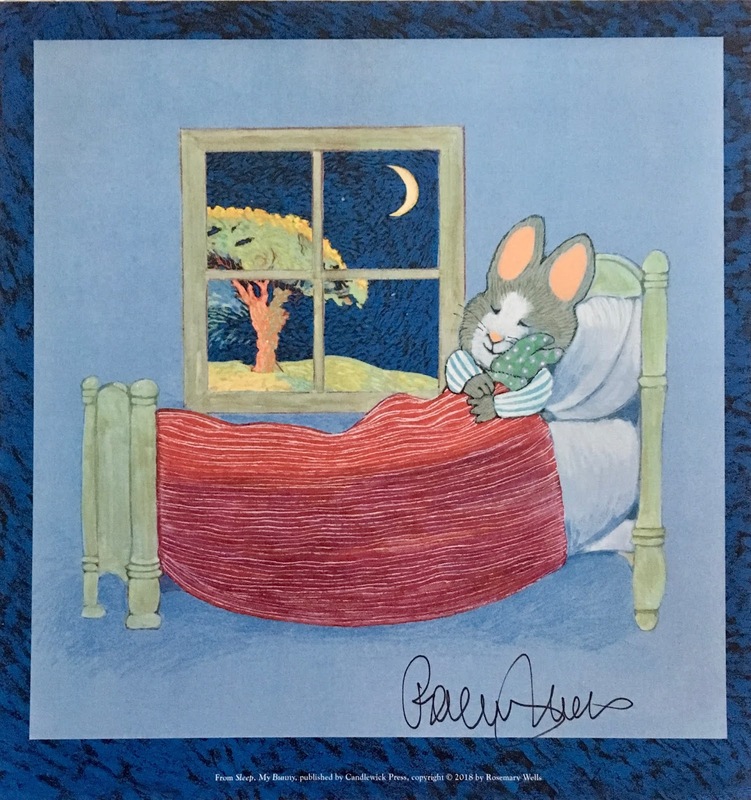 As evening comes, Rosemary has written a lullaby with what she shows are the seven steps of bedtime: Eat supper, Put away toys, Take a bath, Put on pajamas, Listen to a story, Hear a good-night song, Drift off to sleep. They are not written that way, of course, but shown in the lullaby, a line and a picture at a time. It begins with "The owls and the crickets are singing together", that beloved evening sound welcoming day's end. In rhyming lines, Rosemary shares the happiness of time with dad playing a song on his fiddle: "May the noises of evening be gentle and airy." and with mom reading the bedtime story: "The morning is hiding behind the next cloud." If you are the kind of person who sings, I imagine that anyone reading the story could sing it instead of reading it. With sweet illustrations, the book will soon be a favorite for young children, a snuggly ending to their day. The night wind has taken the moon for a ride. as soft as a feather, I hear it outside. The Print you will receive. I will place your names in a basket and draw two! Yes, there are two giveaways. I will send one book and print and the publisher will send the second one, US addresses only, sorry. If you'd like to win the prize, please leave a comment sharing a favorite bedtime lullaby, song or book. I'll announce the winners next week. Happy Thanksgiving to all, however or if you celebrate. I hope it is a restful one as well as tasty! A big thank you to Karen Walsh at Candlewick Press for this giveaway opportunity! One last thing! I've read this book to the granddaughters. It made me nostalgic to remember all the bedtime books and lullabies I've enjoyed with babies and young children, mine included. A recent quote I found touched me, wondering if it's not only for these sweet bedtime moments but for time with everyone in today's fractured world. By Arnold Bennett, a British Author of the early 20th century: "Ninety percent of the friction of daily life is caused by tone of voice." You have said this well. We of all ages yearn to to hear & to give kinder, calmer tones of voice. And who doesn't want to be tucked in cozy for a read on the sofa or in bed? (Although I am exempting myself from the generous draw.) I've appreciated Rosemary Wells & her distinctive bunny for ages & so happy to see this new one. Appreciations for the Bunny Post Host, Linda. Thanks for your kind words, first comment, Jan. I remember my mother singing to me, a favorite lullaby from those World War II years, "Toora, Loora, Loora". Yes, it's lovely to have a new book to love from Rosemary Wells. What a beautiful, beautiful book and story. Bedtime.....oh, with four kids it's difficult to choose a favorite book or story! I read hundreds, I'm sure. I think my favorite, though was listening to my husband read Goodnight Moon or I Love You Little One to our children. The sound of his voice being so loving....and then each baby got a kiss, kiss, kiss through each of the bars of the crib towards the door. Such memories. They make me sigh with nostalgia. 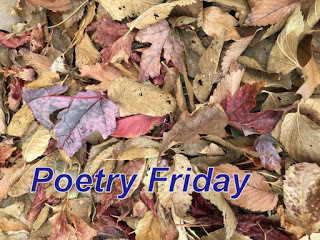 Thank you for hosting Poetry Friday this week. I have loved stopping by this blog weekly -- at least -- for a few years now. I always feel welcomed and delighted with what you share. I am grateful for you. I know I'm going to love reading everyone's replies this PF, Linda. What a wonderfully sweet memory you have about your bedtimes with your husband and your babies. Thank you for sharing and for the words for me, too. 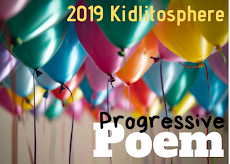 It is a pleasure to have our Poetry Friday connections, isn't it? I agree, Robyn, the book has a beautifully "soft" quality, so much like Goodnight Moon. Thanks for sharing your favorite, too. That's a beautiful opening, and I can only imagine how wonderful the rest of the book is! Thanks for hosting, Linda, and have a nice Thanksgiving! Thank you, Matt. I imagine your girls may enjoy this new book. Happy Thanksgiving to you as well. What a sweet book! I love Rosemary Wells, but my boys are too old to have read any of her books at bedtime. We had a board book version of Wynken, Blynken, and Nod that they loved. Nancy Tafuri was another favorite. Thank you for hosting this week, Linda, and for offering such a generous giveaway! You're welcome. I am happy to host this giveaway! It is going to be a favorite of the young ones, I think, Catherine. I love hearing about Wynken, Blynken, and Nod, a favorite of my daughter's in one of our anthologies. Happy Thanksgiving to you and your family. I love Rosemary Wells. Her illustrations are so perfect. Your quote about tone of voice is spot-on. Thanks for hosting! You're welcome, Tabatha. Yes, it's always a treat to see her pictures. Oh, how sweet! I love the internal rhyme. I also remember that Irish Lullaby, but you don't have to include me in the generous giveaway drawing. Okay, and love that you know Toora, Loora, Loora, JoAnn. Yes, the rhyming bedtime rhyme is wonderful. Thanks! Thanks for hosting this week, Linda. Rosemary Wells' books feel so cozy. Great choice! You're welcome, Laura. It seemed just the right time to offer a glimpse of this book and a giveaway! Your blog focus on Rosemary Wells makes me nostalgic Linda. Her books are quite enduring and always endearing. I often find myself quoting from ‘Noisy Nora’ - a personal favorite. Thank you for hosting Linda. I enjoyed the beautiful reminder you provided. Thank you, Alan. "Noisy Nora" is a favorite of ours here at home, too. I'm glad you liked the words about tone, too, a universal truth for us to remember. So sorry about the 'only US' giveaway, Jane. I love hearing about your felt Max and Ruby at the library. I'm expecting a new grandson early in 2019--this looks like a book he should have! 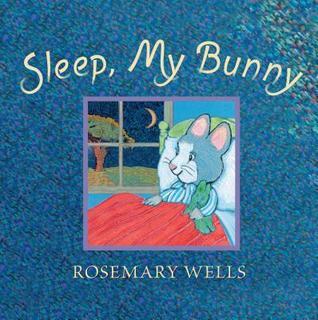 Rosemary Wells was read to my kids way back when, especially Noisy Nora, Abdul, and my favorite--Benjamin and Tulip. Congratulations on this coming grand baby, Diane. I do love your favorites, too. Thanks for sharing. Delightful post and lovely book Linda, thanks for sharing it with us and for hosting too! I'm enjoying ending my evening with your post-just the book to wind down the week with. Have you heard of "Curl Up Small," it was a favorite of mine when I was very, very young. Maybe this book got me hooked on nature–I still have it too! Wishing you and your family a very Happy Thanks Giving! Thanks, Michelle, for telling me about your special bedtime book. I don't know "Curl Up Small", but Amazon says it is worth hundreds of dollars! Hope I can find it someday. My library doesn't list it either. Happy Thanksgiving to you, also. Oh, I had no idea–I'm glad I still have it–it's a gorgeous book both the story and art. I, too, remember "Toora, Loora, Loora," exempt myself from the drawing, and thank you, Linda, for sharing this sweet new book by Rosemary Wells. The verse you've shared has a rockabye rhythm and lovely rhyme. Lovely that you remember this favorite of mine, too, Jane. Yes, this new book is going to be another special one from Rosemary Wells! It looks like such a lovely book. And you're so right about tone of voice. Thanks, Ruth, it is sweet. Linda, that verse you shared is so lovely and just the right tone for a lullaby. It's also the perfect thing to read on a hushed and snowy morning! I can see why you imagine someone singing it. Thinking back over so many snuggling read alouds, I think one of my favorites is "Snoozers" by Sandra Boynton. It's silly and interactive, and I can still remember all the sweet giggles that accompanied it. Thanks so much for hosting today and for this wonderful post and all the thoughts and memories it sparked. I do think some who get it will sing, Molly. I don't know "Snoozers" at all, though Sandra Boynton's books have been favorites. I'll watch for it! Thanks for telling about it! You're welcome, Christie, happy to share this new one and love hearing about your kindergarteners loving Rosemary Wells, too. Thanks for sharing about this book -- loved that excerpt as well as your quote about tone of voice. So important to be kind with our words. I also love the Irish lullaby as well as Goodnight Moon. More recently, I've enjoyed Linda Ashman's picture book, Rock-a-Bye Romp. :) Thanks for hosting this week, Linda! You're welcome, Jama, and thanks for this title new to me, "Rock-a-Bye Romp". Sounds delightful! Thanks, Irene. That ready-for-slumber time is special, I agree. I'm glad you took the time to read about this new book. Have a marvelous time at NCTE! You're welcome, Amy, & thanks very much for those titles. I know the first, will look for the second! Hugs to you, too! What a sweet lullaby! Thank you for sharing. How did my daughter and I miss the books of Rosemary Wells? I guess it's never too late. Some of our favorite bedtime stories are the classics--Where the Wild Things Are by Maurice Sendak (one of our first visits to an art museum was to see a special exhibit highlighting Sendak's art) and Goodnight, Moon by Margaret Wise Brown. I love hearing about your favorites, too, Kay. No, it's never too late to learn about Rosemary Wells and her wonderful stories & illustrations! Enjoy when you can! Thank you Linda for this bedtime sweetness! I’ve enjoyed Rosemary Wells over years of teaching. My very favorite bedtime book so far, is Time for Bed by Mem Fox. Happy Thanksgiving to you and your beautiful family! Thanks, Vicki, wishing you a wonderful Thanksgiving, too. I hope we'll be able to re-unite next year at Highlights! Thanks for sharing your favorite bedtime book. Yes, I love that one, too. This looks like a treasure of a book, Linda. What an important point about tone at the end of your post, too. Thanks, Tara. I'm glad you enjoyed the peek at "Sleep, My Bunny" and my response to the quote. It's rather surprising how often something appears when it seems needed, like that quote. I'm late adding my link, but glad I didn't miss your post about this lovely book. Sounds perfect for bedtime. That beginning is so gentle, just perfect. Thanks for hosting today! I'm happy to see you here, Joyce, and glad you loved reading about the new book! Thanks! I love Rosemary Wells. And this looks like a sweet book. Thanks for sharing it--and thanks for hosting, too. I'm not sure who wrote it, but I sang it to my daughters and I sang it to the children in my classes at naptime, too. That's lovely, Susan. I am glad you shared it, and glad to see you here! I think many of us agree about Rosemary Wells. She and her work is terrific! I imagine you have the pleasure instead of reading some of these with your young students, Heidi. I love hearing about another Rosemary Wells favorite. Yes, someday the grandchildren! Thanks! That opening stanza makes me smile too, Linda! Max and Ruby were favorites of ours when my kids were young, many moons ago. So nice to see that Rosemary Wells is still making magic. It is wonderful about this new one by her, isn't it? Glad to hear from you, Buffy! Oh, Linda, I love Rosemary Wells. My kids and I enjoyed Voyage to the Bunny Planet and used to chant some of the lines when life was not going as anticipated. My favorite was Read to Your Bunny. I bought two copies and took them apart so I could laminate the entire book for bulletin boards. I think it's time I introduced Jack to Rosemary Wells' books. Oh yes, time to get those books out for Jack! 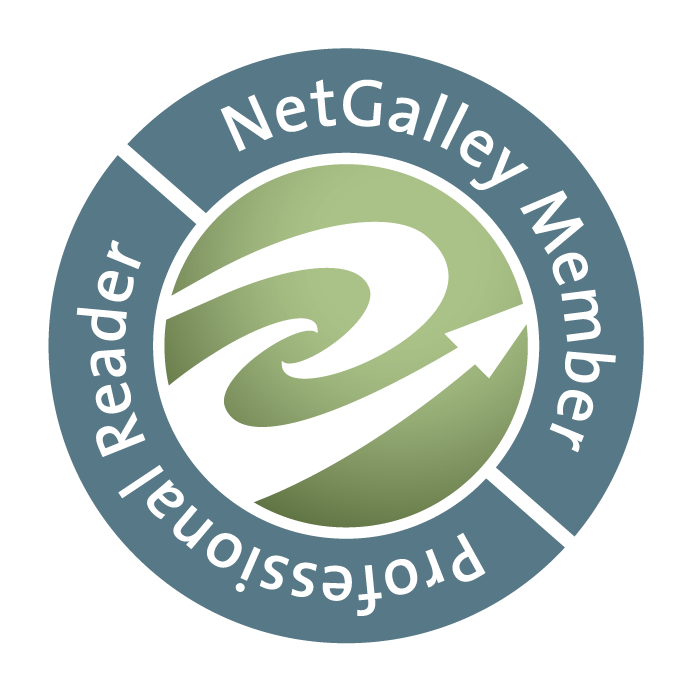 I'm amazed that you wrote a post and from NCTE--love that you are there! Thanks, Ramona! Linda, I finally have a few moments to read through some poetry posts. I apologize for a quick drop off without thanking you for being the host of Poetry Friday. NCTE 18 was a week of learning-networking-being immersed in literacy. - Rosemary Wells' book looks like it would be a great addition to Sierra's library. I am still not unpacked totally because I am in the midst of baking for Thanksgiving. Have a great Turkey Day with your family. The book is dear, Carol, will be a sweet one for Sierra. You needn't worry about coming by; I know how busy & exhausting NCTE can be. Thank you, and wishing you the Happiest of Thanksgivings to you & the family.